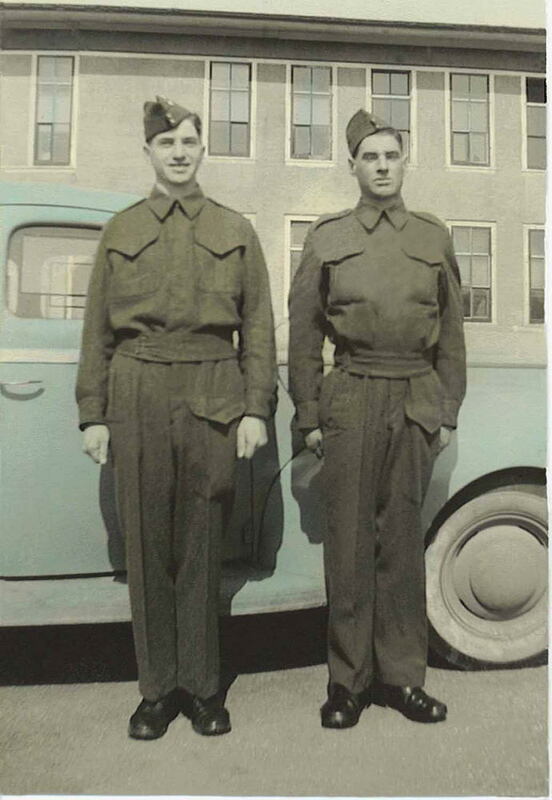 The following is a compilation of memories of World War II recounted by my father, William Bell, 89 years of age of Winnipeg, Manitoba, Canada. They were completed on April 25th, 2006. He is one of the few Hong Kong Veterans still alive to tell his story. Upon return to Canada at the end of the war it was believed that many of the members of the Winnipeg Grenadiers and the Royal Rifles of Canada would not live to an old age due to their years of suffering in Japanese POW camps. Over the years these two regiments became known as "The Lost Battalions". Their battle against the enemy was brief and they literally disappeared for almost four years after surrendering to the Japanese. Unfortunately, many of the details of his engagements with the enemy in Hong Kong, and later in Japan, are unknown at this time. This is partly because he would rarely speak about the Battle of Hong Kong with our family as I was growing up; choosing only to discuss it with the Grenadier comrades that he associated with. It has often been said that in addition to the many decorations the veterans of the Battle of Hong Kong received, there should have been a medal of honour issued to their wives for the many difficult years they endured while physically and mentally nursing their spouses back to health, upon their return from war. William was born on March 12th, 1917, in Winnipeg, Manitoba. His parents, Rachel and William Bell Sr., were immigrants from the country of Scotland. He had two sisters, Isabel and Rachel; a younger brother, Gordon; and an older brother, John. John had been left behind with his grandparents in Scotland until his parents were settled in Canada. William's grandparents could not bring themselves to part with John and they refused to send him to be with his parents in Canada. John lived his entire life in Scotland and William was approximately 65 years old when the two met for the first time. While growing up in Winnipeg, William attended Dufferin Elementary School, Victoria-Albert School, and also took industrial shop courses at Kelvin High School. In July, 1932, he joined up with the 38th Field Artillery (R.C.A.) militia in Winnipeg which was under the command of Major Capel. He continued as a member of the "38th militia" until it was eventually taken over by The Fort Garry Horse Regiment. 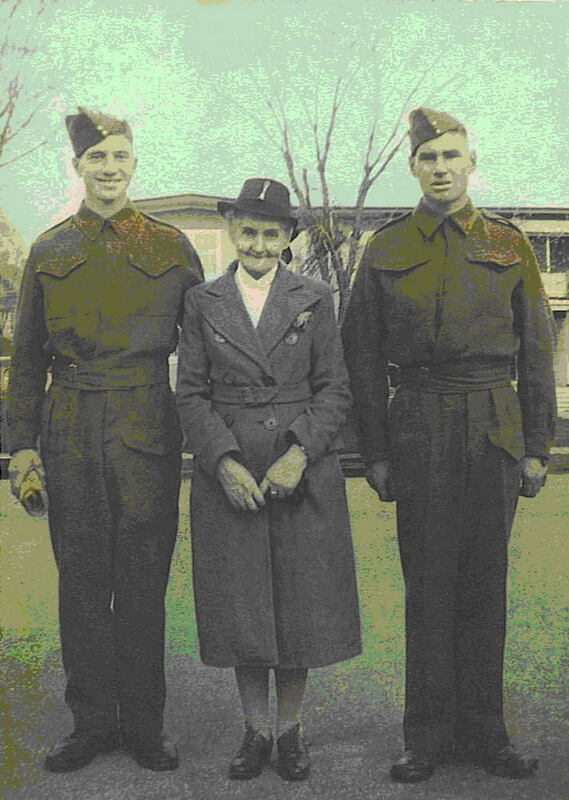 William continued on as a militia member with The Fort Garry Horse Regiment. He spent a total of 4 years in the militia (similar to the Army Reserves of today). It was while William was with the Fort Garry Horse that he first met a soldier named John Osborn, a member of the Winnipeg Grenadiers. One day he, too, would be a Winnipeg Grenadier, and would eventually find himself fighting for his life next to John Osborn. Little did he know that he, and his comrades, would also owe their lives to this valiant soldier. While serving with the militia, William learned his basic military skills such as marching, shooting a rifle, and most of all discipline. These skills would soon serve him well when he joined up with the Winnipeg Grenadiers.